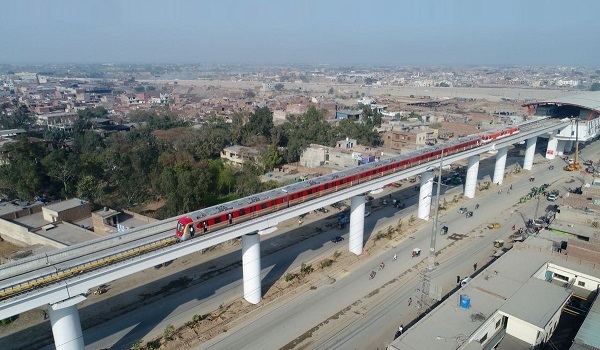 Lahore: A trial run of the Orange Line Metro Train (OLMT) has been conducted, according to a news source. The trial took place near the OLMT depot. The source further reports the authorities as saying that a 12 kilometre long portion of the OLMT track between Dera Gujran and Lakshmi Chowk will be completed during this week. On the occasion, Advisor to the Chief Minister Punjab and Steering Committee Chairman Khwaja Ahmed Hassan was quoted as saying that four additional train sets for OLMT have also arrived in Lahore. A total of 15 train sets have arrived in Lahore. As a related part of the project, he explained that roads leading to and from Dera Gujran have also been repaired.